Map View Modes and Neighborhood in Find. The map can be displayed in three views. Road (default): a standard map displaying road names when magnification allows. Aerial: displays a direct over-head, virtual earth (satellite) view. Bird's Eye: displays aerial imagery captured from low-flying aircraft and offers an oblique, 45-degree angle, which provides a better view of most homes and neighborhoods. These images may also be rotated and viewed from all four cardinal directions. The Labels option toggles road names on and off in Aerial or Bird‟s eye views. It has no effect and is inactive for Road view. Near the bottom of the map, there are two additional buttons available that will change the page of Search Results and the corresponding properties displayed on the map. Note: The default results per page is 20. When the default is changed, the last / next count will also change to reflect the selected number of results per page. Drawing tools are used to create My Neighborhoods, user defined search areas. The drawing tools display at the top of map as a hand icon and three shapes (polygon, square and circle). You can adjust the map zoom level by using the navigation icons at the top-right of the map. You can also pan the map in any direction using the arrow icons. Place the cursor on the Zoom (Magnifying Glass) icon at top right of the map, and then press and hold the mouse button. You can also double-left click your mouse button. This will zoom in and re-center the map wherever your mouse pointer is when you click. In any view, use the circle and arrows to pan in any direction on the map. You can also click and hold your left mouse button and drag the map in the direction of your choice. Note: When panning with the arrows, the closer to the center of the circle you click, the smaller the pan across the map will be. When the map is zoomed in to the lowest three zoom levels, property lot boundaries will be displayed. 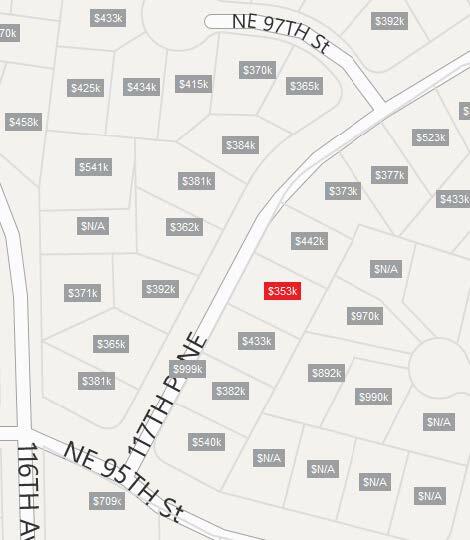 The lowest two zoom levels will display valuation prices for each property mapped. If the property has an active listing, the price is the list price and will display in green, if the property was sold in the last six months (recently sold), then the price is the sales price and will display in red. If the property is not active and not recently sold then the price is an estimated value (also called AVM, Automated Valuation Model) and will be grey. 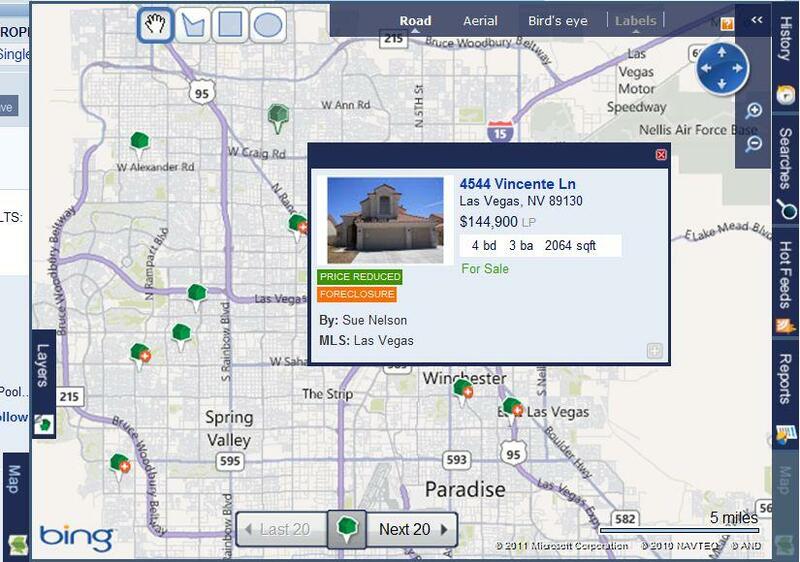 In the example below, the color coded pins indicate that all properties are off market. To see a Property Summary, click on the price label for the desired property. 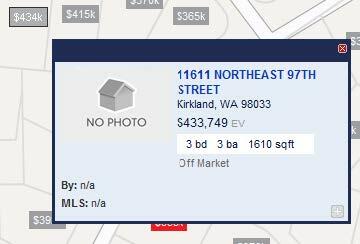 To see the full Property Detail, click on the property address. Next Lesson: Searching Maps Using Find's Zip Code and Neighborhood Features.